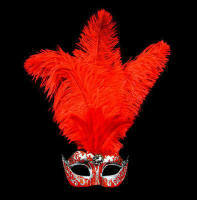 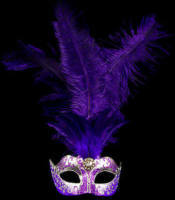 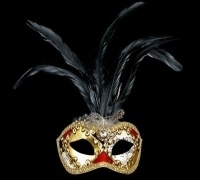 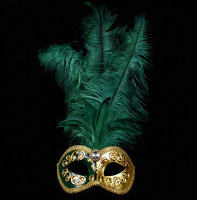 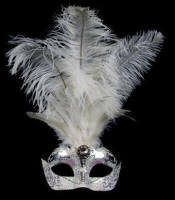 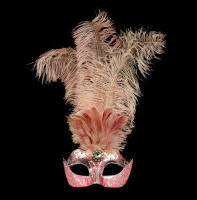 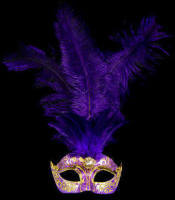 Make a serious style statement with this show-stopping Mezza Venetian Feather Masquerade Mask - Red. 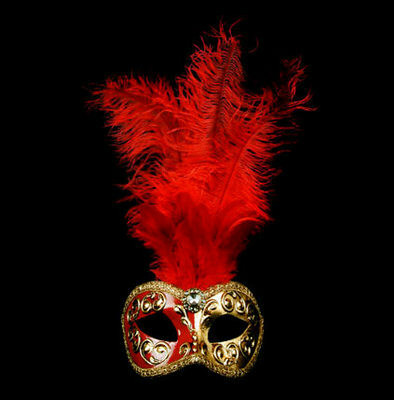 Instantly eye-catching, this gorgeous mask is made with gold swirls on a antique half red half gold hand painted painted base with stunning feather plumes atop. 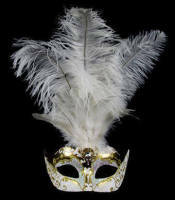 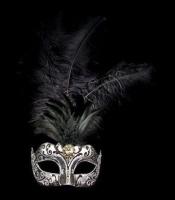 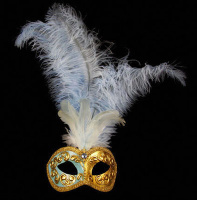 Turn heads for your excellent fashion sense with this bold ladies feather mask - perfect for transforming any party look in to something magical. 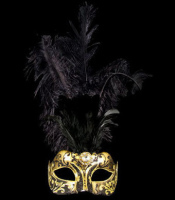 It comes with black ties attached for your comfort & security.